"Execrable Human Traffick, or The Affectionate Slaves"
Even before 1789 critics had attacked the slave trade and slavery in the colonies. France had several colonies in the Caribbean, the most important of which was Saint Domingue (later called Haiti). There were 500,000 slaves there in 1789 and they provided the labor for sugar, coffee, and cotton plantations. The behavior of slaves and the actions of slave owners in the colonies was regulated by a series of royal edicts, called the Code Noir, or slave code. Both groups sent their representatives to France to demand representation in the National Assembly. There were those in the National Assembly who believed in rights for blacks and worked for abolition of slavery. Some were members of the Society of the Friends of Blacks, a French abolition organization. However, there was not much support for aboliton among the revolutionaries. They also argued for full rights for free blacks - There were about 28,000 free blacks and mulattos in Haiti, many of whom owned slaves of their own. More radical revolutionaries continued to urge abolition. Olympe de Gouges, who also championed rights of women, wrote Reflections of Black People, a pamphlet urging improvement of the situations of slaves and free blacks. As they argued in France, the uncertainty created instability in the colonies. The free blacks and mulattos agitated for full rights. The planters feared that Paris might abolish slavery and take away their livelihood, and began to talk about independence. Vincent Ogé presented the views of the mulatto property owners to a meeting of the white planter delegates who had come to Paris. 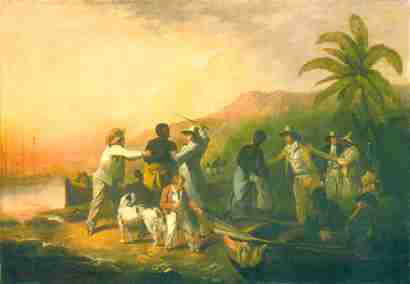 In October 1790, 350 mulattos rebelled in Saint Domingue. The rebellion was put down, the rebels were arrested and the leaders, including James Ogé, were executed. On May 15th, the National Assembly succumbed to pressure and granted political rights to all free blacks and mulattos who were born of free mothers and fathers. It only affected a few hundred people but the planters were infuriated and refused to follow the law. Legislative Assembly (it replaced the National Assembly in October 1791) met at the end of March 1792. On March 28th, the assembly voted to reinstate the political rights of free blacks and mulattos. Nothing was decided about slavery. The slave rebellion continued. In the fall of 1792, as the Revolution in mainland France began to radicalize, the French government sent two agents to Saint Domingue to gain control of the slave revolt. The rebel slaves then made agreements with the British and Spanish in the area. The British and Spanish had promised freedom to those slaves who would join their armies. It was not a matter of principle - they did not intend to end slavery in their own colonies. But they saw an opportunity to weaken France. The rebellion and invasions took their toll on Saint Dominique. The economy had nearly collapsed and drastic measures were needed. The National Convention (the more radical assembly of the Jacobins that replace the Legislative Assembly in France) finally voted to end slavery in all the French colonies on February 4, 1794. Thousands of whites fled the island, and even the Mulattoes were not pleased. Many owned slaves themselves and were opposed to the move. The decree from faraway Paris did not solve the problems in the colonies. Some local officials disregarded the decree, others converted slavery into a forced labor system, and others took no action at all. The decree was never fully implemented. A leader of the slaves had emerged in the conflicts. Toussaint L'Ouverture, a slave who had learned to read and write, embraced the enlightenment philosophy of equality and liberty. He was a brilliant general, and large areas of Saint Dominique came under his control. Eventually the Jacobin government in France fell like those governments before it. When Napoleon took control in France, he attempted to put Saint Dominique on a sound footing. By 1800 the plantations were producing for France only one fifth of what they had in 1789. He reinstituted slavery in the colonies, and denied rights to free blacks. He send an expeditionary force to retake Saint Dominique. Through deception the French captured Toussaint and took back to France. Napoleon ordered that Toussaint be imprisoned in the Alps and murdered by lack of food and warmth. However, the fight went on and the slaves were finally successful in driving out the French. 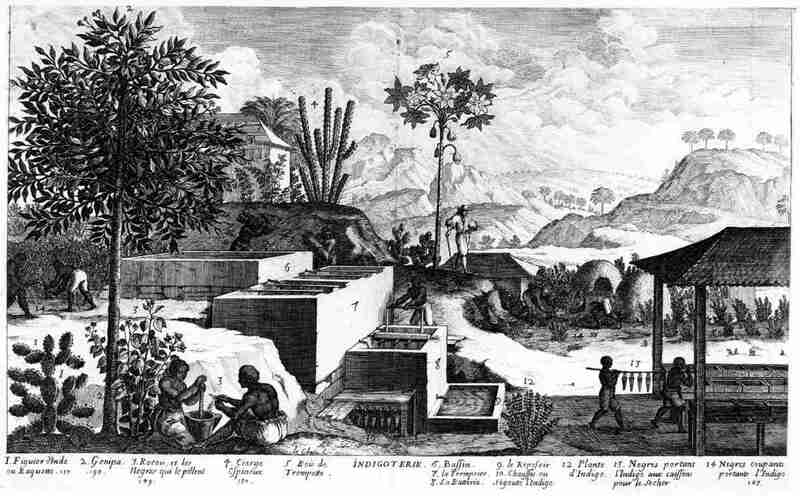 In 1804 Saint Dominique became the independent republic of Haiti. The first successful slave revolt in history was over.